Shrieking Affliction ($0.28) Price History from major stores - Return to Ravnica - MTGPrice.com Values for Ebay, Amazon and hobby stores! 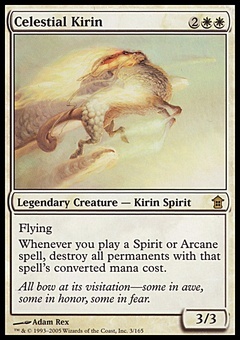 Card Text: At the beginning of each opponent's upkeep, if that player has one or fewer cards in hand, he or she loses 3 life. 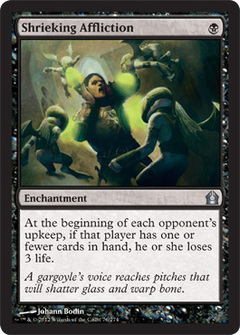 Flavor Text: A gargoyle's voice reaches pitches that will shatter glass and warp bone.